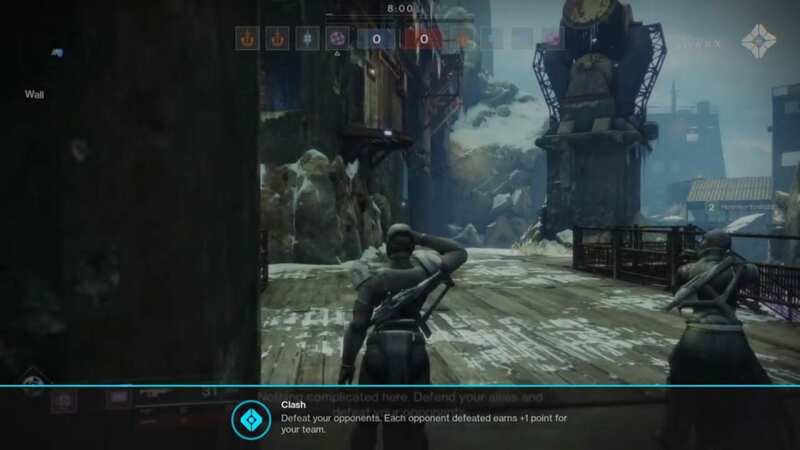 This page contains all the tips and tricks you will need in order for you to gain an advantage and knowledge in playing the Destiny 2 Crucible: Clash. Destiny 2 Crucible: Clash is a game type that is won by the first team who scores 75 kills. It’s a very direct game that just requires you to reach a certain amount of kills for you to successfully win the game. Be minded though that you will only have eight minutes to finish the game and if that time expires, the winner will be decided by the team that had the most kills. Although Crucible’s Clash is a bit of a straightforward objective, you still need teamwork in order for your team to win so keep in mind that every decision you make will impact the team as a whole. All game types of Crucible have Power Ammo that are located on both sides of the team and one at a neutral location. Procuring these power ammo will prove to be very helpful later on in the game. The neutral power ammo can be taken after 20 seconds since the game has started. Once either of the team takes the neutral power ammo, it will no longer respawn and such you must immediately take it as it will provide an advantage for your team. The non-neutral Power Ammo that can be found on both sides of the team respawn every 90 seconds. But these can be taken again after 90 seconds of when you took it unlike the neutral Power Ammo. Since the focus of the game is getting into 75 kills as fast as possible, prioritizing the kills is the key to winning the game. But with every game that involves killing in teams, you must be wary of your own team’s location as going in alone will provide to be quite disadvantageous. Always assist your teammate when they are in need. As this is a team game, helping your teammate will benefit your team as a whole in the long run. Sentinels are great for this kind of game as they can provide assistance for their team with the shields that they can equip them with. Together with the Gunslinger, the Sentinel can tank the front while the Gunslinger shoot safely from a distance.